Many families hear about Feng Shui while living in Asia, including family W from Switzerland. During their four years in Singapore they consulted me on both their rented apartments, and each time the family experienced amazing improvements and successes following this Feng Shui consultation. 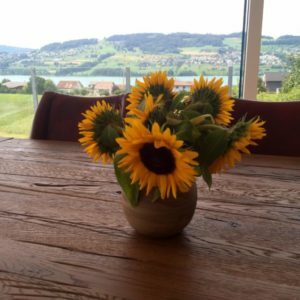 It was clear that they would want to continue to use Feng Shui upon their return home…Read More. 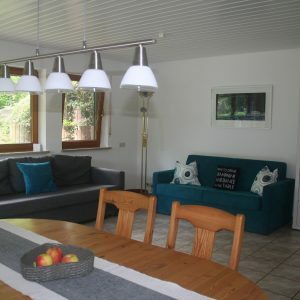 My clients own this one-bedroom apartment in Germany which they use for their holidays. Since it is located in a popular tourist area, they decided to also rent it out as a holiday apartment. The apartment has natural colour ceramic floor tiles throughout which give good grounding energy overall. All the walls are freshly painted in a crisp white and wooden ceilings create a warm, homely atmosphere…Read More. We have lived in our rented house for more than 6 years and from the beginning I never liked the ugly water tank in my son’s bathroom. Luckily, my son was still quite young when we moved in and he was just thrilled to have his own bathroom! 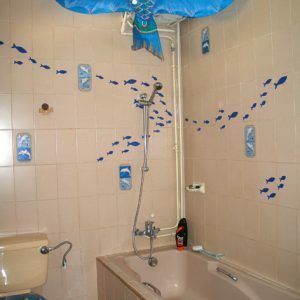 I tried to cover up the water tank as much as possible with a blue fish kite I had bought in Bali, and applied some bright blue fish stickers to the tiles to liven up…Read More.